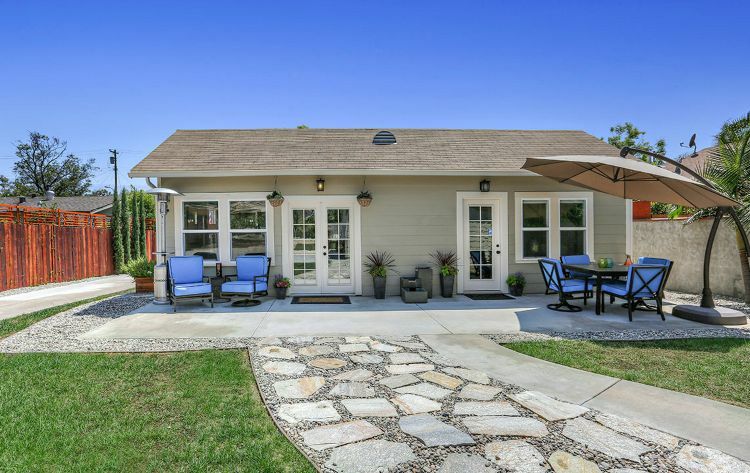 While this adorable Craftsman home looks cozy and charming from the outside, when you walk through the doors, you may be surprised at how spacious this home actually feels. 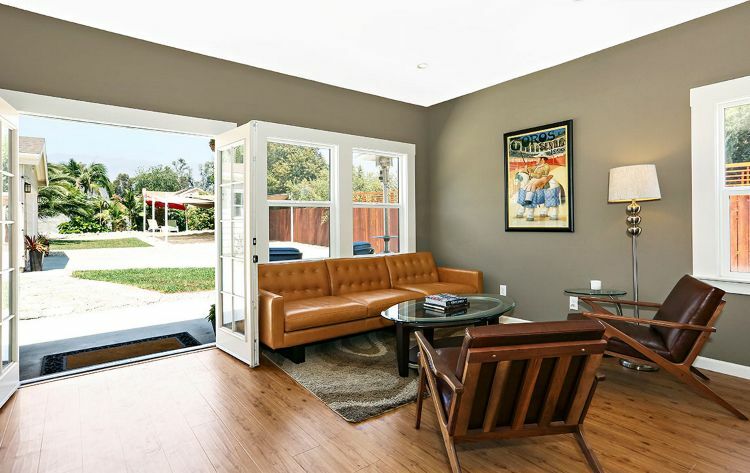 The home, a 1905 Craftsman for sale by Clark Living, is located in Los Angeles County, CA. 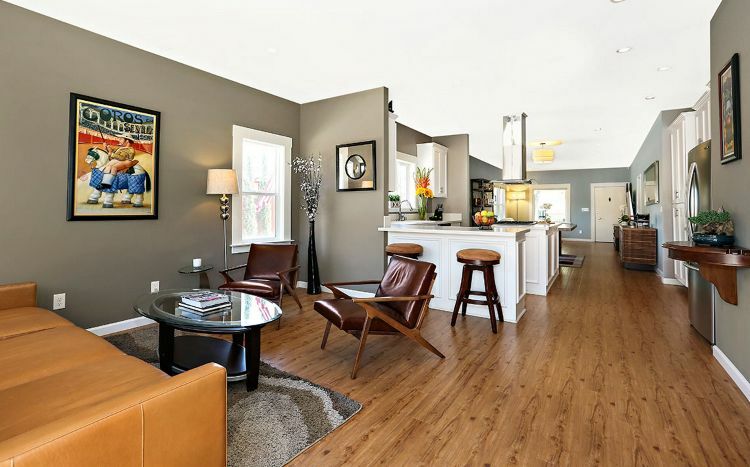 The bungalow is just under 1,700 square feet, according to Zillow. The open floor plan, light walls, and dark floors make the home feel larger. Huge windows throughout the home add natural lighting and add to the openness. 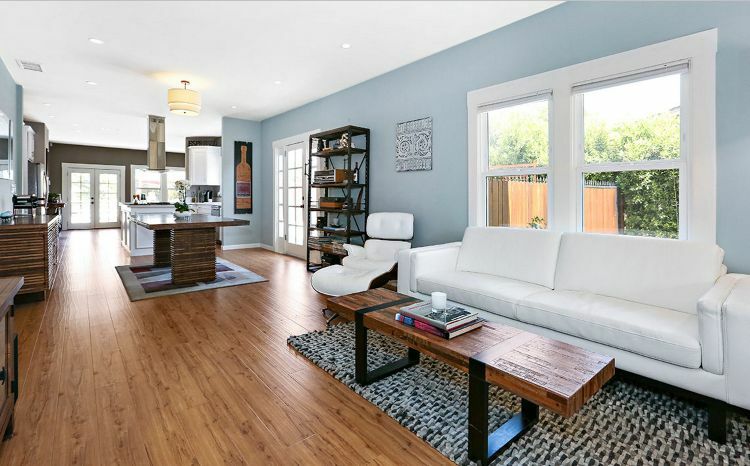 The main sitting area features large windows, french doors, and a beautiful light fixture. Recessed lighting adds functionality without distracting from the open flow of the room. 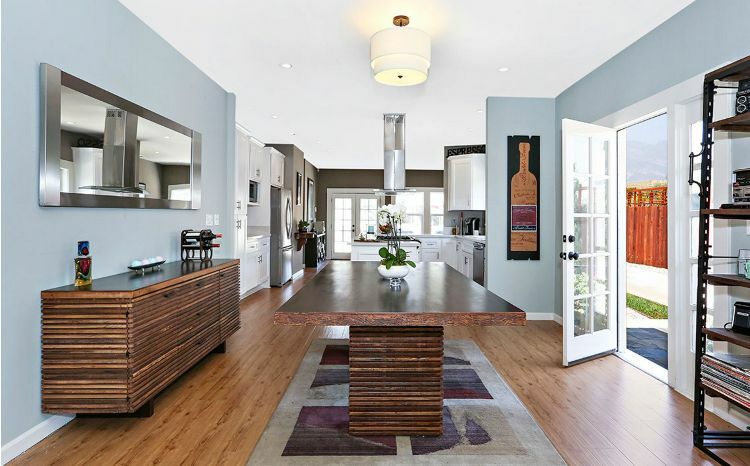 The large space includes the kitchen, living and dining areas right off the main entrance. While the setup is a bit unusual, it creates a welcoming feeling when you come in at the end of a long day. 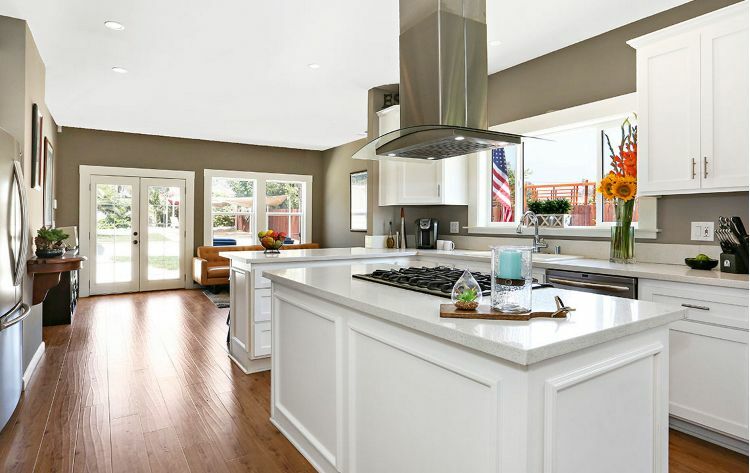 The beautiful kitchen features stunning white cabinetry and stainless steel appliances. A darker paint shade helps separate the space from the rest of the living area. Just off of the kitchen, is another sitting area with beautiful French doors leading right out to the large backyard. A half-wall separates this room from the kitchen, without making the room feel closed off. An additional window adds just a little extra light to what would otherwise be a dark corner. 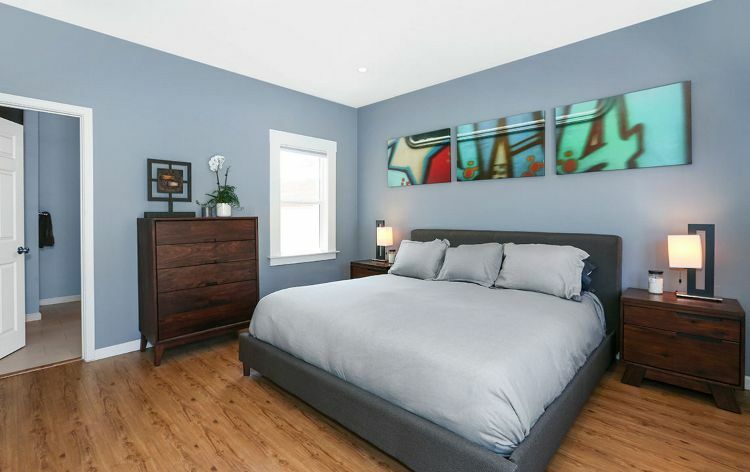 The large master suite is one of three bedrooms in the home. 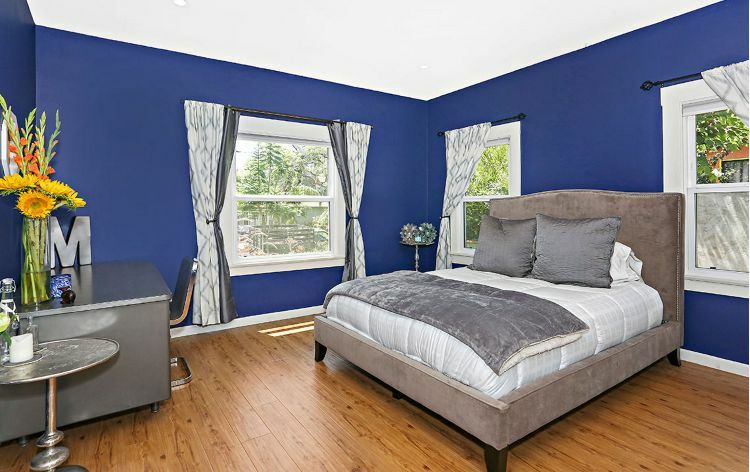 The calming blue paint and dark floors make this space an elegant place to relax. The unique layout of this home allows for extra windows for more natural lighting. 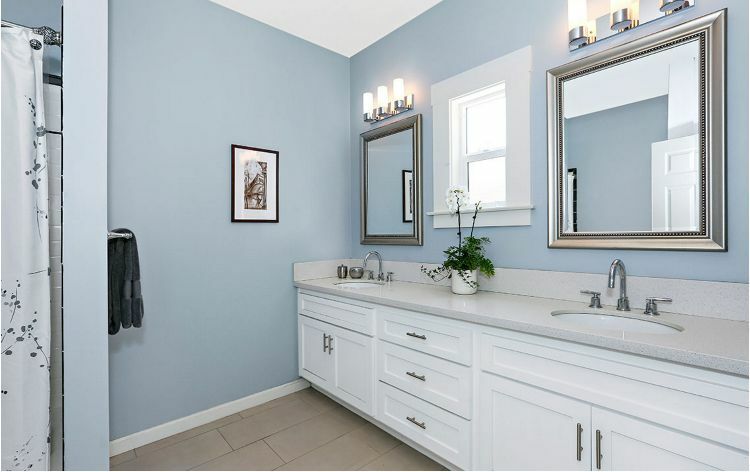 The spa-like bathroom retreat includes dual sinks, large mirrors, and custom light fixtures. There is plenty of storage under the sinks. 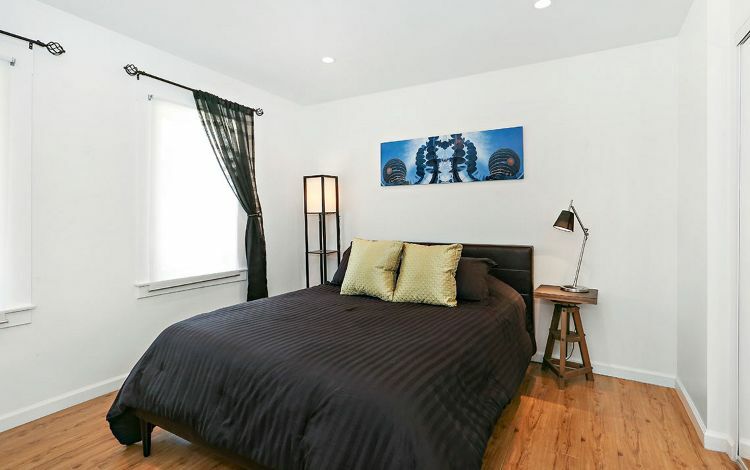 The large guest bedroom has plenty of natural lighting as well. 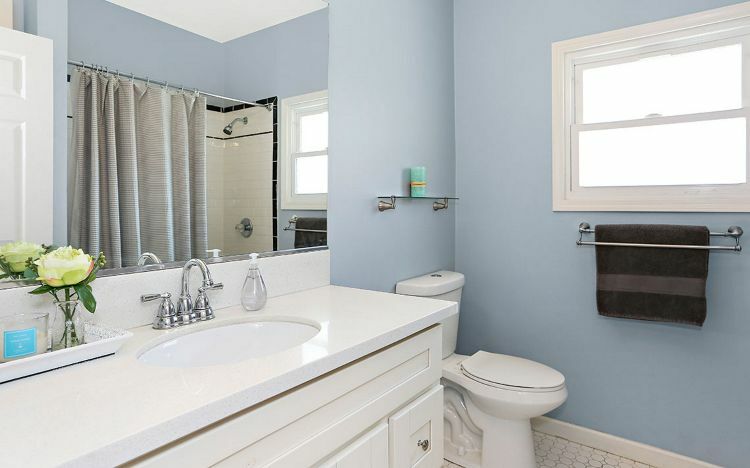 The second bath is a bit cozier, but is outfitted with updated fixtures. A third bedroom could be used for an office space. With plenty of natural lighting from the windows as well as recessed lighting in the ceiling, this room is a great use of extra space. The laundry room is tucked away with plenty of space for folding laundry and storing soap and other items. 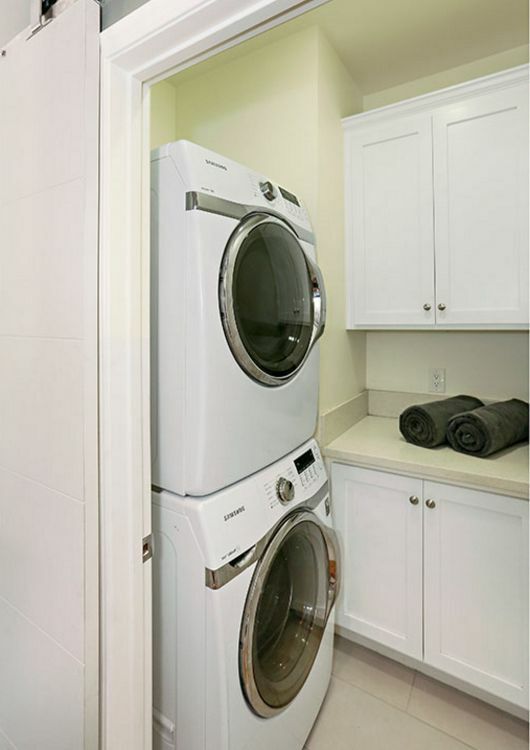 A stack-able washer and dryer take up less floor space. 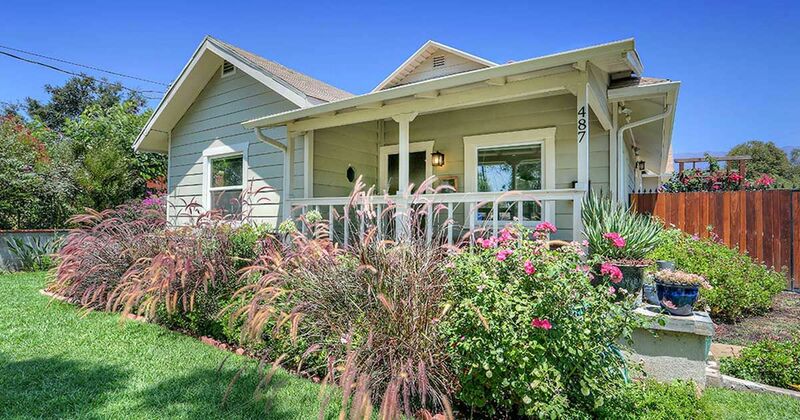 The backyard of this craftsman home is just as beautiful as the inside. A covered sitting area overlooks a small grassy area. The gravel is a huge bonus for those who don't want to spend a lot of time doing yard work. Relaxing on the weekend would be a snap is this beautiful retreat home. 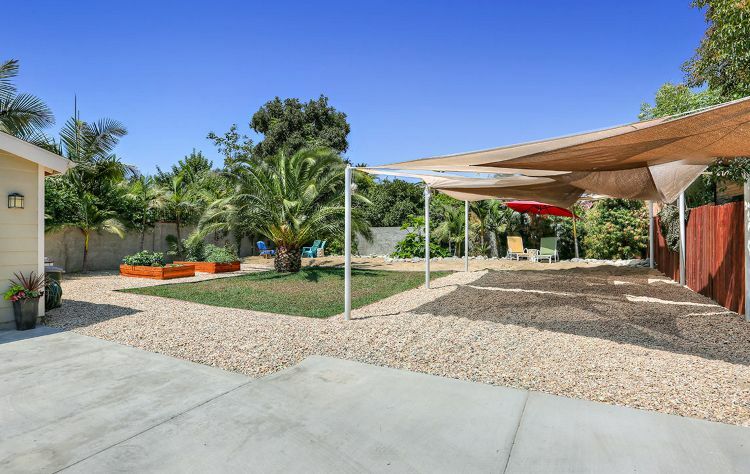 Huge open spaces make socializing with family and friends easy, and a beautifully-cared-for-yard is a perfect place to unwind with an ice tea and a good book. What do you think of this home? Share this beautiful home with your friends on Facebook.